Learn, Share, Grow TEAM NON-GMO! In the United States, 80% of processed food is likely to be genetically modified, and not everyone is sure how to identify which foods are genetically modified organisms (GMOs) and which are not. It’s up to us to LEARN the facts, SHARE information, and help GROW Non-GMO! This May, our co-op is teaming up with Woodstock to help raise awareness about GMOs. Stop in anytime this month and enter to win a Woodstock wagon and receive a dollar off coupon for any Woodstock product. You can also visit Woodstock’s website: www.Woodstock-Foods.com/TeamNonGMO, to win additional prizes, LEARN about GMOs, SHARE information, and help GROW Team Non-GMO! Woodstock is dedicated to providing consumers with high-quality, delectable foods farmed from sources you can trust. For 25 years, they’ve been committed to providing foods that are both good for you and the land. They are proud supporters of the American Farmland Trust & the Non-GMO Project. Over 70% of Woodstock products are domestically sourced and over 145 products are verified by the Non-GMO Project with the rest on their way. To learn more about Woodstock, go to www.woodstock-foods.com or visit them on Facebook, Twitter and Instagram. Here’s some info. about the wines Lisa Parks will be pouring for you to taste during owner appreciation week. 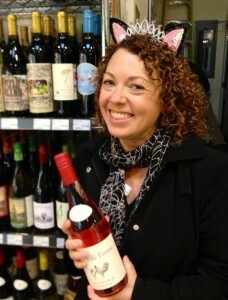 You can come taste wine with Lisa on Saturday May 16, anytime between 4 and 6 p.m. 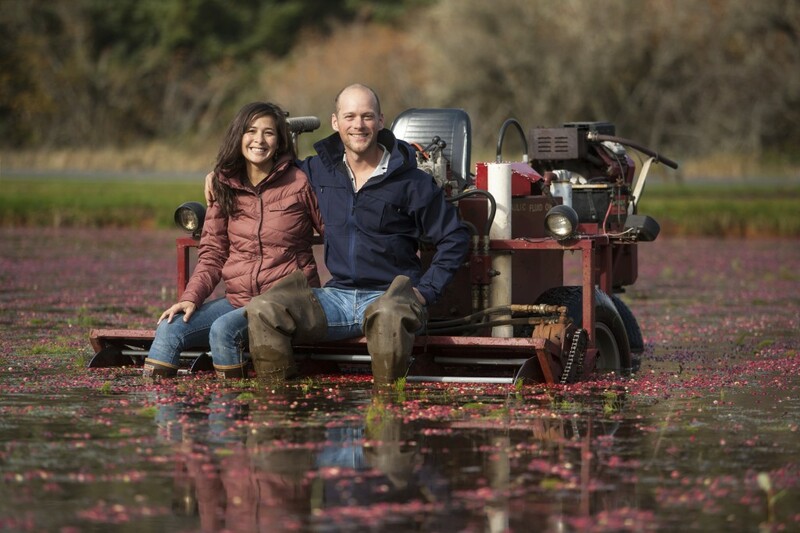 The farmers of Washington state’s first and only certified organic cranberry farm will be sampling out their juice at the Co-op on the first day of our Spring 2015 Owner Appreciation Week. Stop by the store and try some on Sunday May 10 at 11 a.m. to 1 p.m.
Starvation Alley encompasses a total of 10 acres in Seaview Washington and Long Beach. Jared Oakes and Jessika Tantisook took over the farm where Oakes grew up in 2010. They wanted to farm cranberries organically, but were told by farmers and other experts that it wasn’t possible. They explored that assumption and eventually gained organic certification for their farm. “It is hard, especially in the beginning because we didn’t have any support. If you want to learn to grow organic apples you could probably find enough stuff on line, call universities, or get advice from professionals. That wasn’t available for cranberries. As new farmers transitioning to organic we lost a lot of production for the first two years, hence the value added products,” Tantisook said. Starvation Alley created a brand of juice that attracted the attention of the emerging craft cocktail industry. The farmers sell their product to 70 accounts, mostly bars in Portland and Seattle. 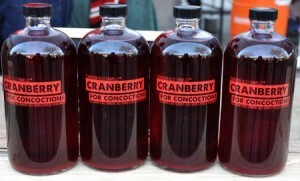 They sell their juice and cranberries at farmers markets and locally at Astoria Co-op. The juice is raw, unsweetened and undiluted cranberries. It is not heated or pasteurized which Tantisook says enhances the health benefits and taste. Starvation Alley Farms is building its research database with a goal of spreading sustainable farming and educating consumers about the food system and the importance of supporting local farmers. They are working with two other cranberry growers on the Long Beach Peninsula to transition to organic certification. There are currently only about 300 acres of organic cranberry farms in the U.S. out of 39,000 total acres of producing cranberry bogs. 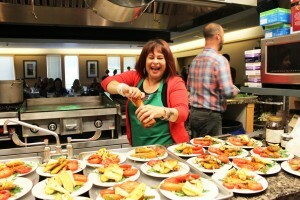 Thanks so much for the enthusiasm for local food, Folks! The event is sold out. When: Wednesday June 3 at 6 p.m. Some of the first local food crops of the season will be the highlight of a Farm to Fork Demonstration Cooking Class & Dinner in June. Astoria Co-op Grocery, Columbia Memorial Hospital’s Nutritional Department, and Chef Marco Davis have been working together to do a series of these local food events, in an effort to inspire people to eat fresh and healthy foods, with an emphasis on seasonal vegetables. And this time the class will be offered at a new lower price. In the past the cost was $50 and now it is being offered for $35 each or two for $60. “This is an amazing deal for such a high quality four course meal and wine pairings plus cooking instruction, but we’re going to try and work within a slightly smaller budget this time, because we want to make this accessible for everyone. 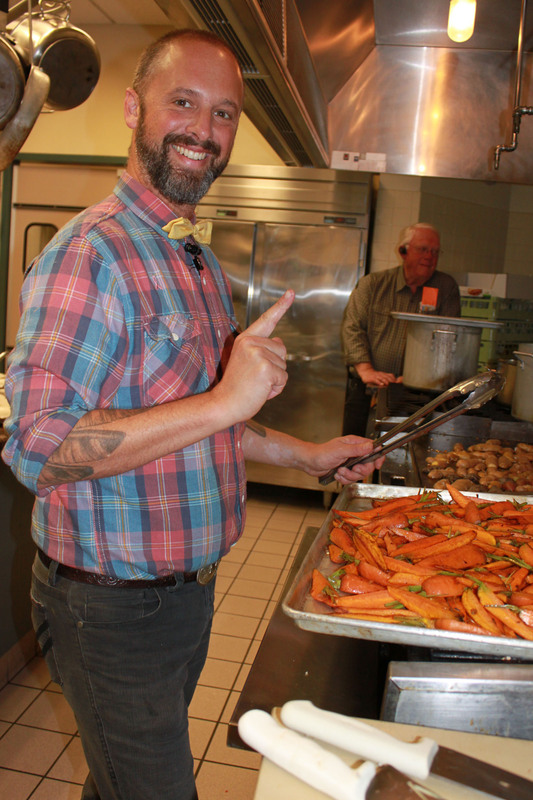 It is our desire to expose as many people as we can to healthy foods through this event,” Astoria Co-op Grocery Marketing Director Zetty Nemlowill said. 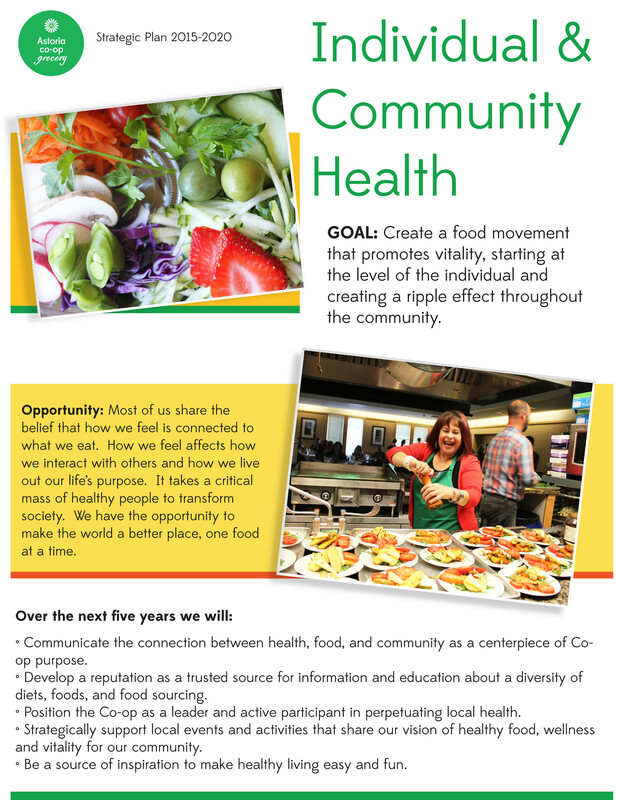 Columbia Memorial Hospital’s Nutrition Services Manager Vann Lovett echoes this desire to connect food, health and the community. “Good food is so essential to health and well-being. 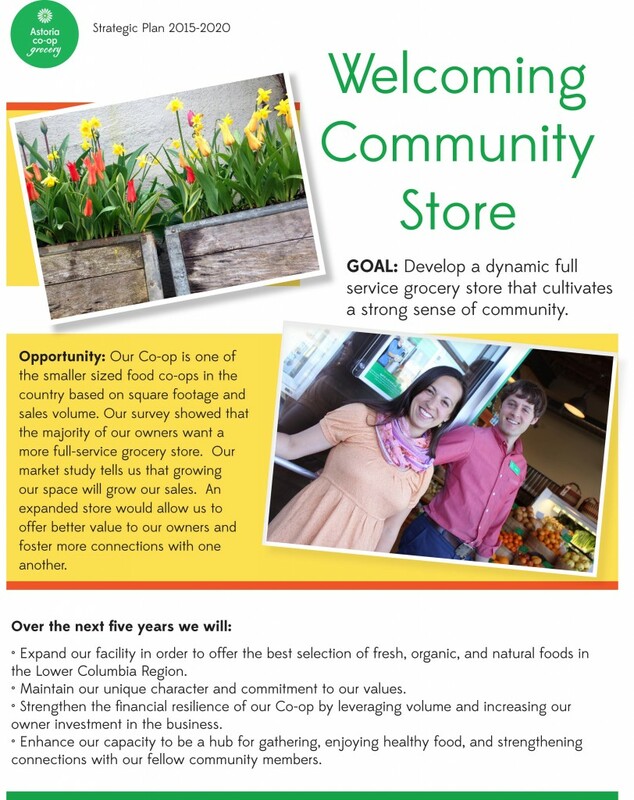 We are excited to have another opportunity to collaborate with the Co-op in providing education to help build a healthy community,” Lovett said. 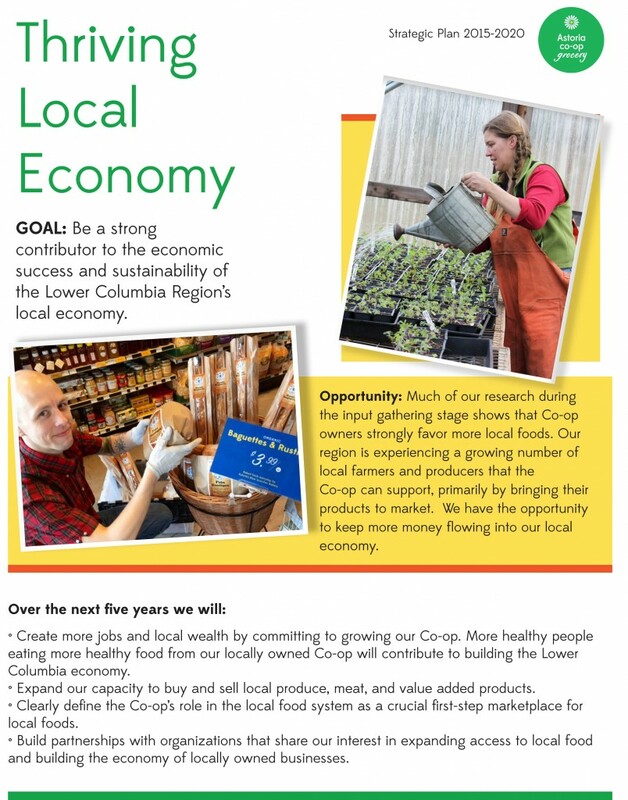 The Co-op will use its relationships with local farmers and other vendors to provide local and organic ingredients. 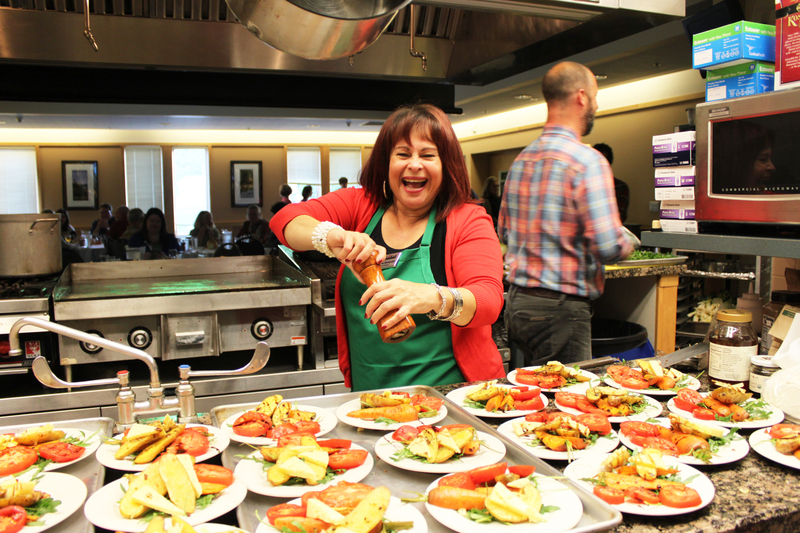 Foods are harvested just before the class and the menu is designed based on what’s freshest and in season. Chef Marco is currently reaching out to local farmers to see what will be available. He says he will for sure be doing a rhubarb and strawberry dessert. He’s been experimenting with a new recipe for kale pesto, and he’s hoping that salmon will be plentiful. 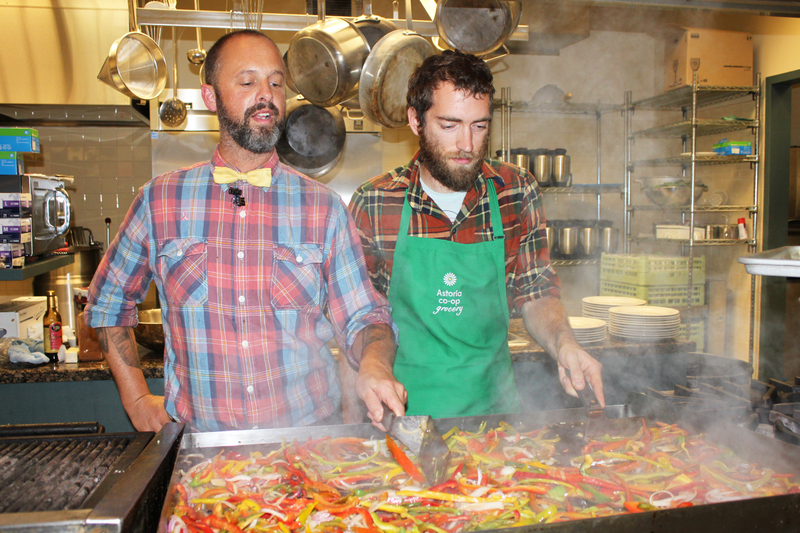 All of Chef Marco’s Farm to Fork dinners just so happen to be gluten free meals. Chef Marco will provide recipes and explain his cooking process as he prepares dinner before your eyes. 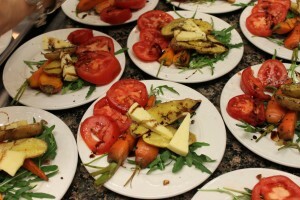 Many of the growers will also be guests of the dinner, providing information about their farms and the food. 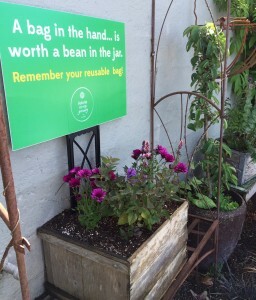 “Beans for Bags” is a popular donation program we’ve seen at several food co-ops and we’re going to give it a try! 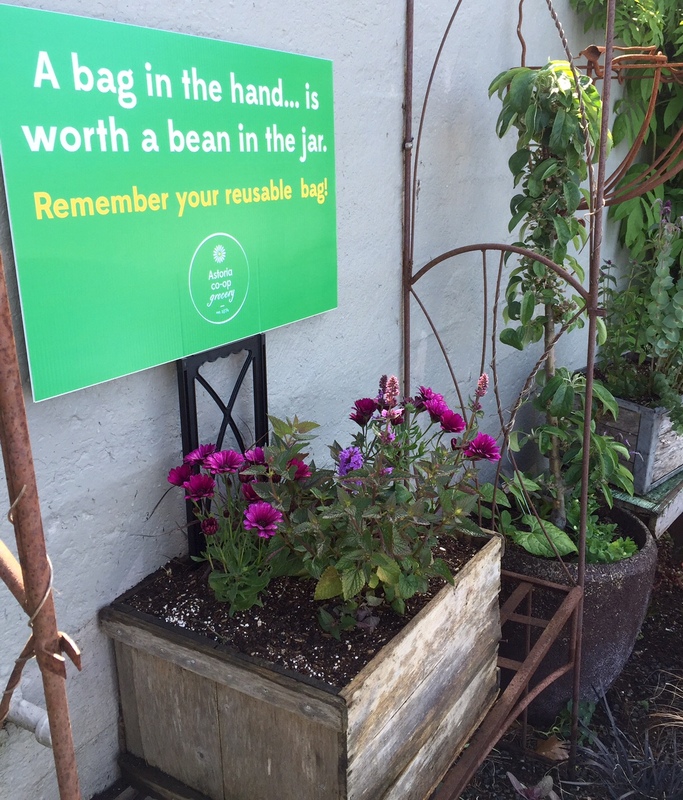 The aim is to encourage conservation of disposable bags by offering customers a dried bean in exchange for bringing in their own shopping bag; one bean is given for each bag used. The bean represents 5¢, and customers may choose which one of three community organizations they would like to support with their bean. Shoppers simply place their bean(s) in the slot(s) of their choice in jars located in the store. At the end of each quarter the beans will be counted and each of the organizations will receive a check proportionate to the number of beans they received in their jar. This fall when you bring a reusable shopping bag to the Co-op, you’ll be helping the planet, and supporting some great community causes. North Coast Watershed: supporting a goal to improve stream habitat to create a sustainable environment for salmon and people. Camp Kiwanilong: general maintenance, replacing bunk beds, and replacing cabins. Clatsop Animal Assistance: veterinary care including spay and neuter fees, pet adoption promotion, and any other needs not covered by the Clatsop County Animal Shelter’s budget. 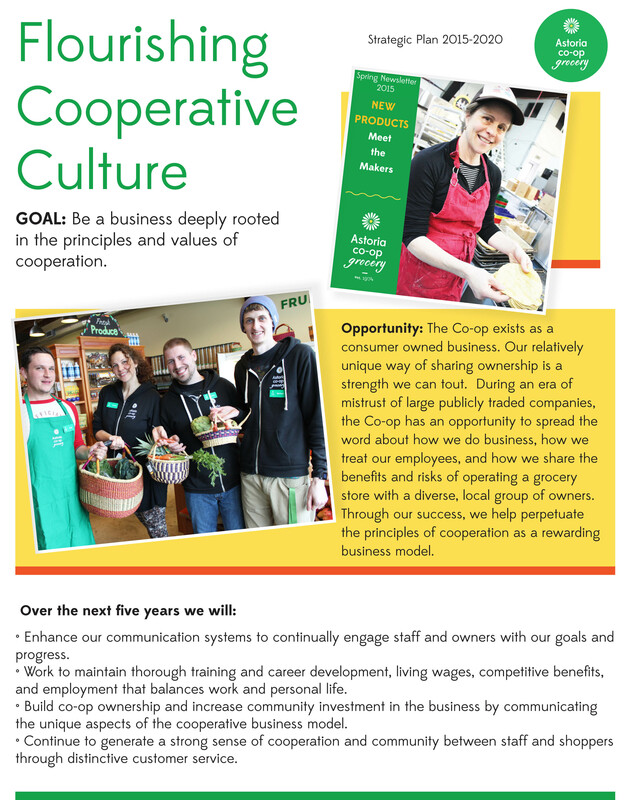 Community organizations can apply to become recipients of funds and they will be selected by the Co-op Board quarterly. Click here for an application. We will update you with how the program is going and hopefully we can all share in the success by turning reusable shopping bags into money for worthy causes, diverting landfill waste, and conserving trees. 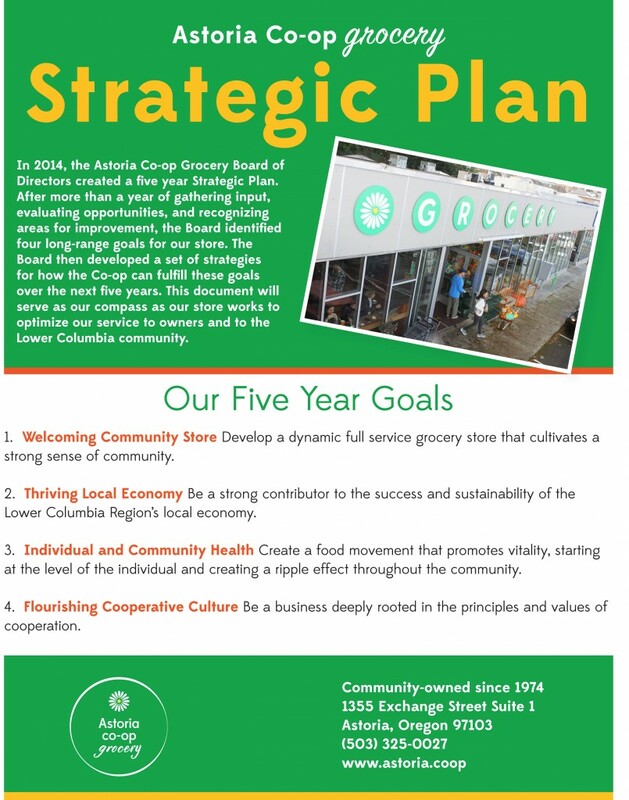 The Board of Directors adopted Astoria Co-op Grocery’s Strategic Plan in April 2015, unveiling the plan to the ownership at large at the Co-op Annual Meeting on May 3, 2015. For a printable version, click here.